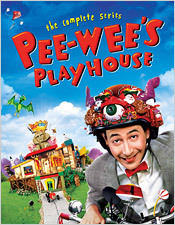 Based on a 1980 stage show and one-off HBO special by actor/comedian Paul Reubens, Pee-wee’s Playhouse became a Saturday morning staple on CBS in the late 1980s. While the original incarnation was intended as a parody of classic kids TV programming targeted at adult audiences, the series that followed was straight up kids fare. Each week, its young viewers were invited into the Playhouse to experience whatever antics were brewing – usually a simple story or conundrum, though occasionally with a theme or lesson – featuring Pee-wee (Reubens) and a host of supporting characters (both human and otherwise) including such familiar faces as Laurence Fishburne, Lynne Marie Stewart, the late Phil Hartman, Jimmy Smits, and Sandra Bernhard (the Christmas Special episode also features a host of additional celebrity cameos). Each episode was supplemented with custom stop-motion animations and excerpts from classic “Golden Age” animated shorts (from the likes of Ub Iwerks, Dave Fleischer, George Pal, and Walter Lantz), though the latter were presented without title sequences (as they were all public domain). In spirit, Pee-wee’s Playhouse felt a bit like the old Captain Kangaroo show, mixed with the educational bent of The Electric Company, the 50s candy-colored patina of Pleasantville, and dashes of Sid & Marty Krofft psychedelia, Banana Splits energy, and Bazooka Joe earnestness. Tying it all together was Reubens’ iconic performance as a kind of boy who never grew up meets Rip Taylor, wrapped with theme music by Mark Mothersbaugh of DEVO fame. As you might guess, all of this served to ensure that Pee-wee’s Playhouse became a singularly unique chapter in Saturday morning TV history. Shout! Factory presents the series in remastered HD on Blu-ray at the original 4x3 broadcast aspect ratio. 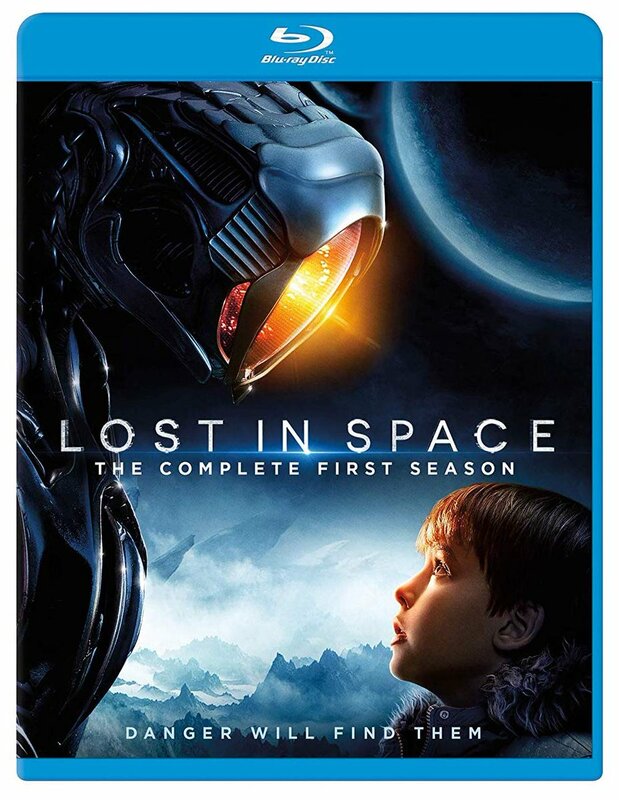 All 45 original episodes from its five seasons are included. Most run about 24 minutes in length, though the Christmas Special extends to 47 minutes. The series was originally shot on film and these vintage elements have been scanned in high-definition for this presentation, an effort that was supervised personally by Reubens. Contrast is generally excellent, with a truly surprising amount of fine detail visible (save for the occasional focus issue). While you can see the fine grain structure in the image, the bright lighting and vividly-colored production design often make it look like HD video. This effect is reinforced by the fact that show’s post production was originally done on SD video, though it’s all been redone digitally here in HD for this release – much as CBS has recently done with Star Trek: The Next Generation. As a result, Pee-wee’s Playhouse has a decidedly unique look. The closest analogy I can come up with is that it often looks like a live action version of SpongeBob SquarePants, though of course Pee-wee predates SpongeBob by more than a decade. In any case, this is a far cry better than I would ever have imagined that this series could look in HD. The audio is offered in stereo LPCM at 48 kHz 24 bit. Clarity is excellent, with no issues whatsoever. Optional subtitles are available in English. Shout! 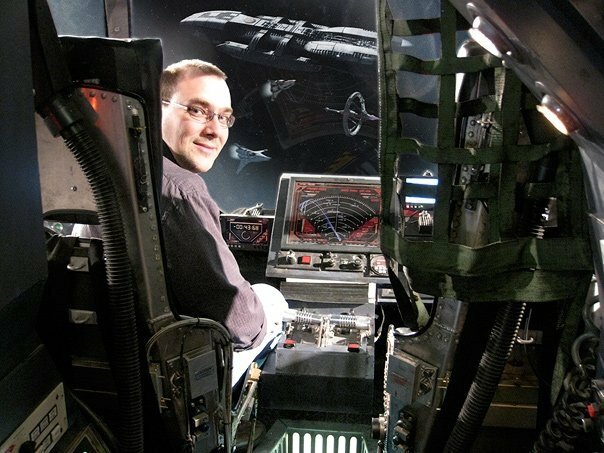 has created a nice batch of extras to go along with this Blu-ray release, in the form of TEN newly-produced documentary featurettes (all in HD) – more than four hours of content in all. Among them are Building the Playhouse, Opening the Playhouse, Writing for the Playhouse, The Look of the Playhouse, Music of the Playhouse, The Cast of the Playhouse, Puppets of the Playhouse, Animating the Playhouse, A Very Merry Christmas Special, and Fans and Memorabilia of the Playhouse. Tons of vintage behind-the-scenes photos, video and other material is shown, and numerous stories and anecdotes are offered by the many interviewees here, which include actors Fishburne (Cowboy Curtis), S. Epatha Merkerson (Reba the mail lady), Stewart (Miss Yvonne), and John Paragon (Jambi the genie), composers Mothersbaugh and Danny Elfman, production designers Gary Panter, Wayne White, and Ric Heitzman, animation supervisor Prudence Fenton (Liquid Television), animators Peter Lord and David Sproxton (Wallace & Gromit), make-up artist Ve Neill, two of the show’s writers, and additional cast and crew members. Reubens himself doesn’t appear on camera except in vintage footage as Pee-wee, which is the way he seems to prefer it. Nevertheless, Shout! tells us that he was very intimately involved in the creation of this material, and the TLC poured into it all is obvious. In addition to these new featurettes, the Christmas Special episode also includes a pair of vintage audio commentaries, one with Reubens, Paragon, Fenton, and Stewart, and another with Paragon, Heitzman, White, Kevin Carlson, Alison Mork, and George McGrath. These were found on the original stand-alone DVD release of the Special from Image back in 2004. Image’s DVD release of the Complete Series from the same period included no extras, so nothing other than these two commentaries needed to be carried over here to Blu-ray. I’ve always been fond of Tim Burton’s feature film Pee-wee’s Big Adventure*, which first arrived in theaters just a couple months after I graduated from high school. But while I managed to catch a few of these TV episodes here and there, once I was into college in the late 80s I was simply too busy to plug into Saturday morning television. All of which goes to say that I’d forgotten just how good this series really was until I had the chance to revisit it here in HD. If you’re a Pee-wee fan, but either missed out on this show back in the day or recall it only very peripherally, I definitely recommend that you check out Shout!’s new Blu-ray edition. It’s pretty damn terrific. Hats off to Reubens and everyone involved at Shout! (especially the hard-working Brian Ward) for a truly worthy release. * Note that Pee-wee’s Big Adventure is also available on Blu-ray from Warner Bros., though its sequel, Big Top Pee-wee, is only available on DVD from Paramount.